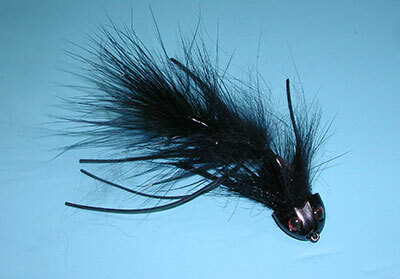 , palmered with Black Hackle and Arctic Fox Body Fur, Olive as an overwing. 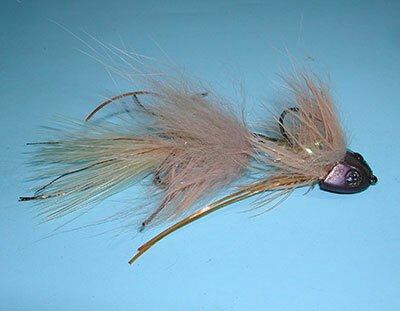 Notes: Originated by Rich Strolis in 2012 utilizing the sculpin helmet and tied articulated. According to Rich,"This guy gets down and drums up nice fish. 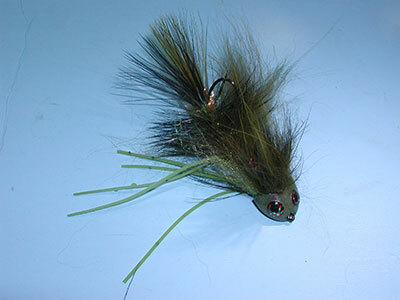 This fly is best fished with a stout leader on a floating line. 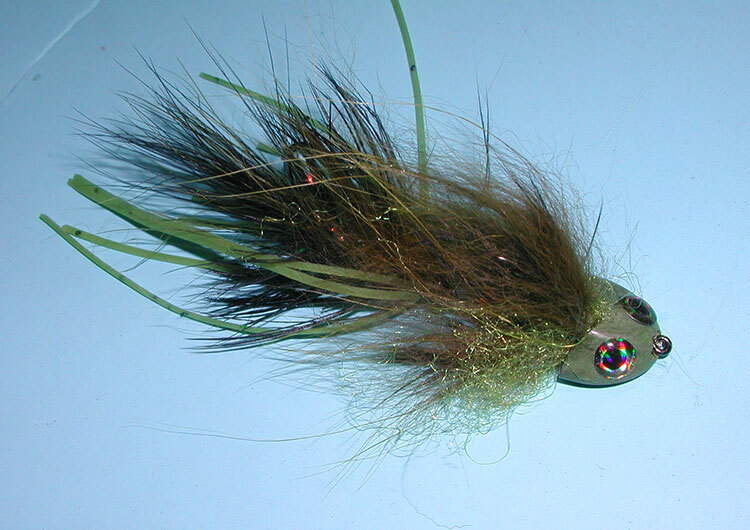 Be sure to open up your casting stroke or else you will be seeing stars, hence the name. Well, it also kinda looks like the lead singer from an 80's rock band....." The pattern can also be tied on a single hook.